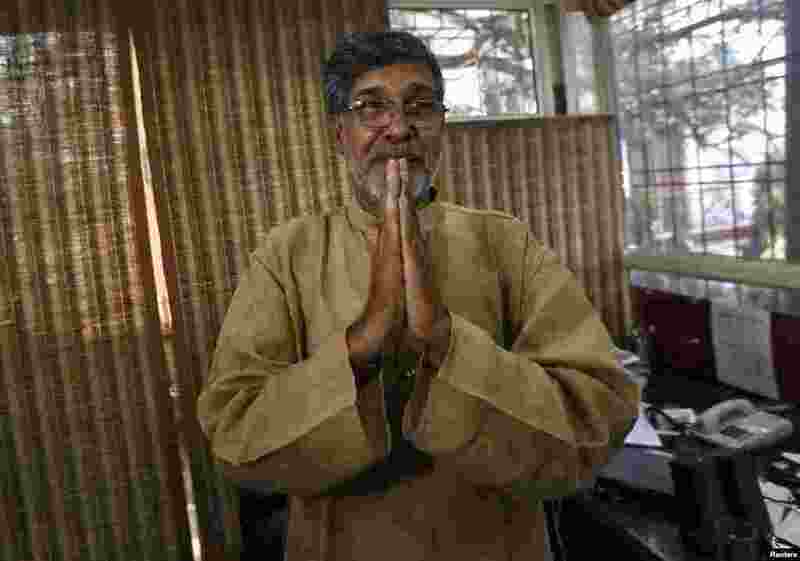 1 2014 Nobel Peace laureate Kailash Satyarthi speaks with the media in New Delhi, India, Oct. 10, 2014. 2 Peace Nobelist Malala Yousafzai (left) talks to Syrian refugee Mazoon Rakan, 16, about Mazoon's experience in the camp during her visit to the Zaatri refugee camp, in the Jordanian city of Mafraq, near the border with Syria, Feb. 18, 2014. 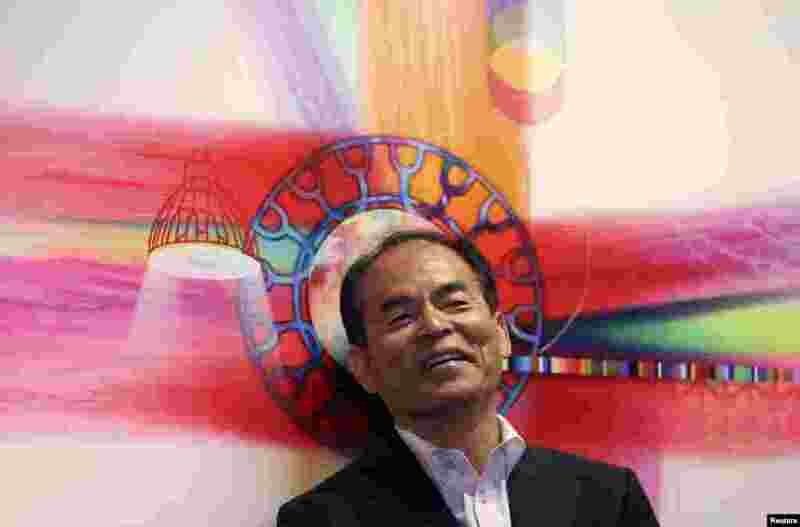 3 Shuji Nakamura listens to speakers at a news conference at SORAA, the company he co-founded, a day after winning the 2014 Nobel Prize for Physics, in Fremont, California, Oct. 8, 2014. 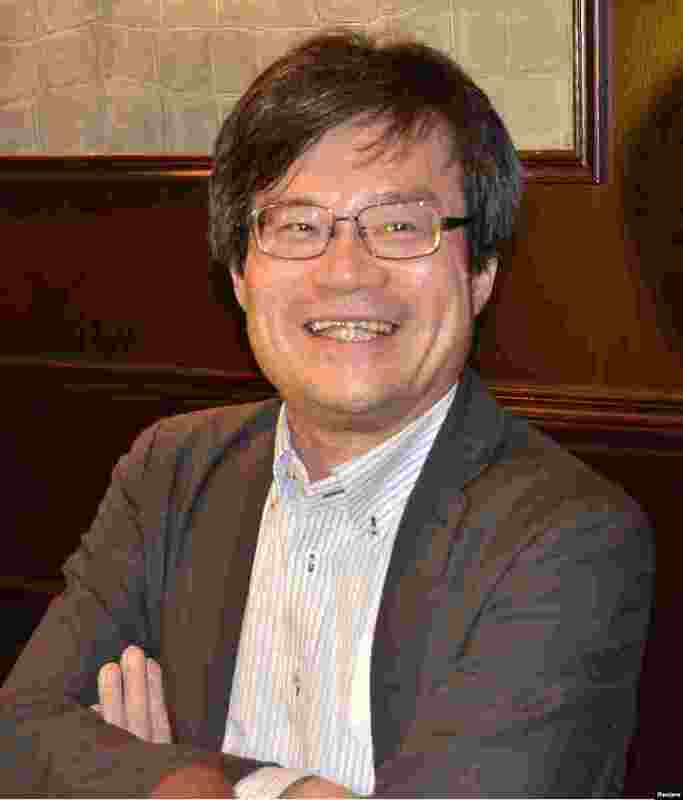 4 Physicist Nobel co-winner Hiroshi Amano, a professor at Nagoya University, smiles as he answers a question in Grenoble, France, Oct. 7, 2014. 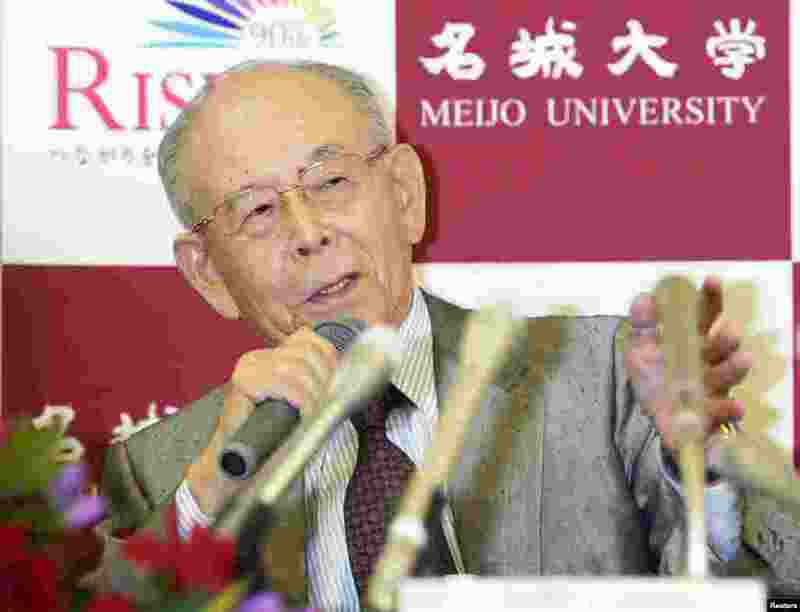 5 Meijo University physics professor and Nobel laureate Isamu Akasaki speaks during a news conference at Meijo University in Nagoya, central Japan, Oct. 7, 2014. 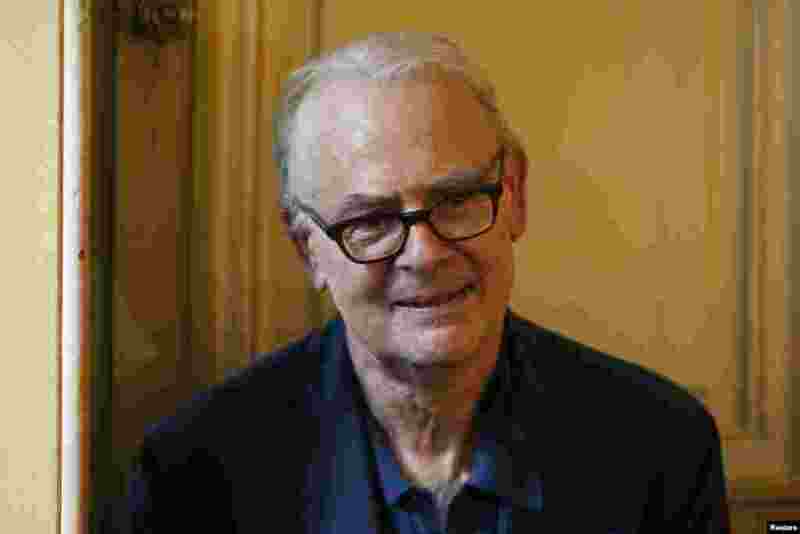 6 Patrick Modiano, winner of the 2014 Nobel Prize for Literature, attends a news conference at the French publishing house Gallimard in Paris, France, Oct. 9, 2014. 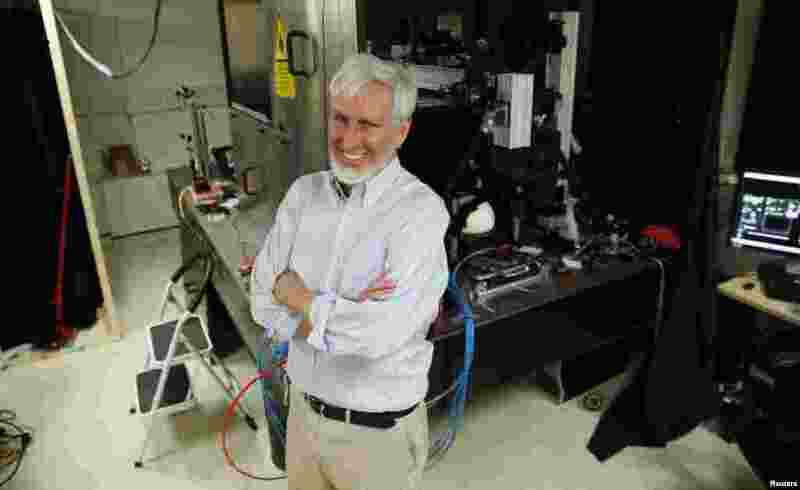 7 Chemistry Nobelist Stefan Hell poses with a nanoscale microscope at the Max Planck Institute for Biophysical Chemistry in Goettingen, Germany, Oct. 8, 2014. 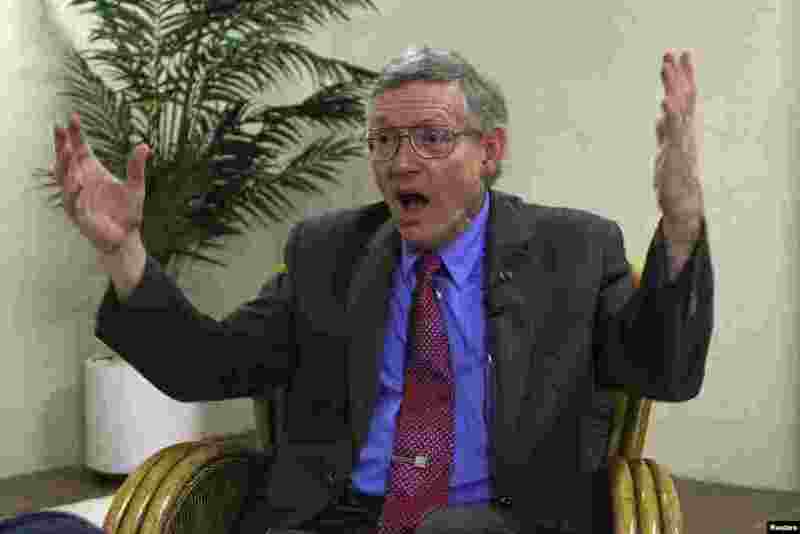 8 William Moerner, laureate of the 2014 Nobel Prize for Chemistry, in Recife, Brazil, Oct. 8, 2014. 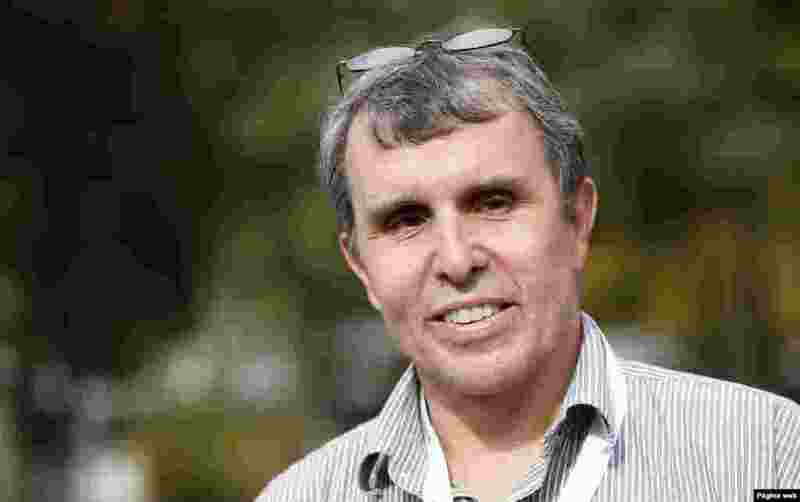 9 Eric Betzig, one of three 2014 Nobelists in Chemistry, talks to journalist prior to a lecture at the Helmholz center in Munich, Germany, Oct. 8, 2014. 10 Professor John O'Keefe, one of three winers of the 2014 Nobel Prize for medicine, poses in his laboratory at University College London, in London, England, Oct. 6, 2014. 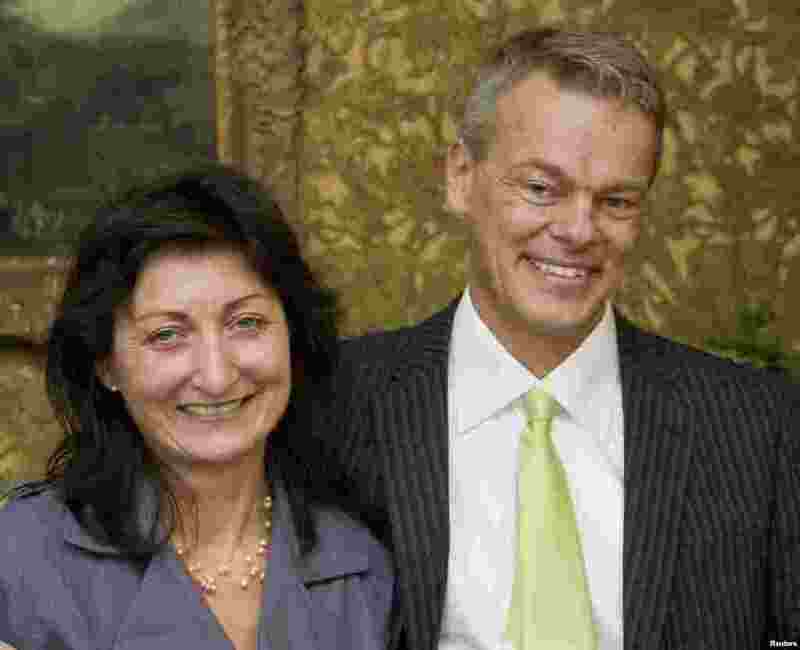 11 May-Britt and Edvard Moser, 2014 Nobelists in Medicine, smile as they receive the Fernstrom award in Lund, Norway in this Sept. 22, 2008 file photo.